The Guardian offers satisfying entertainment with a no-nonsense combination of Hollywood formula and good old-fashioned star power. 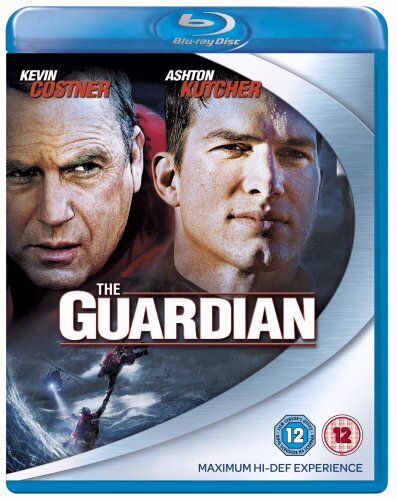 While honouring the men and women who serve as rescue swimmers for the U.S. Coast Guard, this predictable yet appealing drama is a well-crafted showcase for Kevin Costner and Ashton Kutcher, who bring welcome depth and dimension to their formulaic roles. It's basically Top Gun for the Coast Guard, with Costner playing a legendary rescuer haunted by recent tragedy and the impending break-up of his marriage, and Kutcher as the hot-shot recruit whose bravado is tested when Costner takes over a grueling 18-week basic training course, where a 50% attrition rate ensures that only the best will make the grade. There's nothing particularly inventive about Ron L. Brinkerhoff's screenplay, but it's intelligently written and well-directed (by The Fugitive helmsman Andrew Davis) as it shows how seasoned veteran and troubled but talented trainee build mutual respect while sorting through the trauma of accidents that left each of them as sole survivors, tormented by self-doubt and guilt.